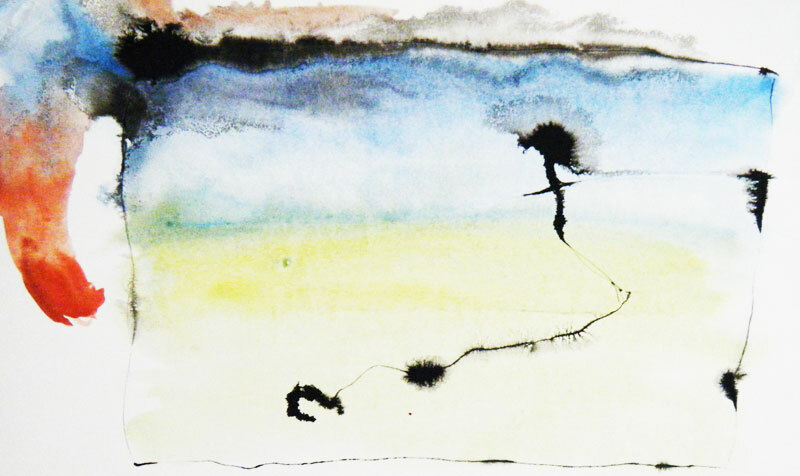 Students will work with ink and watercolor as they discover the idea of making “happy accidents”. 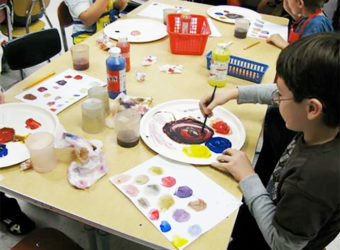 Students will experiment with various art materials. Students will learn to “go with the flow” as they allow their materials to take on a life of their own. Choose two colors of paint that “go” together. Find something that unifies the colors. 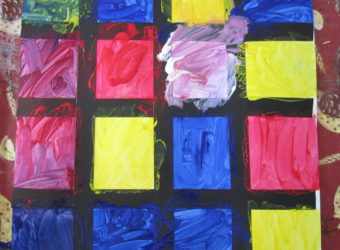 Use complementary colors or various shades of one color. Play with this idea for a while until you have colors you like. Paint the colors onto your paper as a wash. Use a lot of water and just a little paint. Your colors should be very transparent (see-through). The paint should flow easily onto your paper. While the paint is still wet, take a skewer stick, dip it into the ink bottle and place it on the wet paper you have just painted. Do this in several areas of the paper. The ink will run and roll all across the paper forming interesting shapes and lines. Allow the ink to go where it pleases. When you feel that there is enough ink on the paper, let everything dry. You may wish to add some details with the ink once the paper has dried thoroughly.